I'm so excited to start this series! Today we are going to go over the basics. Why I started homeschooling and when, and what my thoughts are 6 years in. First though, I want to make several disclaimers. I do not believe homeschooling is for everyone. It's not for every parent and it's not for every child. This is a decision that you need to make. Get all your facts, pull in all the different resources, and find out what's right for you. At the same time, don't sell yourself short. I hear of parents all the time who are doing 2-3 hours of homework with their kids at night but then say that they don't have the time or energy to homeschool. If that's you, you are already putting in the time and energy required to homeschool! Homeschooling is not for the faint of heart. I am a very firm believer that if you do decide to pull your child out of school or start homeschooling from the beginning you must commit to a full year. The first year is not easy. It's a learning process for you and your child. And to pull them out of school or start them back in school in the middle of the year is unfair to you and to them. All of the opinions expressed here are my own. Everyone's homeschool life looks a little bit different. Your experience will probably be a lot of the way you are. If you're a structured person you will probaby have a more structured homeschool day. If you're more laid back, you will probably find it pretty nice to have the option to do school in your pajamas. There is no "right" way. That's the beauty of homeschooling. Doing what works for you and your children. I have a huge amount of respect for our teachers. I seriously don't know how you do it. This series is in no way meant to degrade your skills or what you do for our children every day. However, I do understand from friends and family members who are teachers, that with the implementation of Common Core, the ever increasing disrespect in the classroom, and the general thought and pressure put on teachers to "teach to the test", that your hands are tied to do the job that you want to be able to do. So, with all of that out of the way, why did I start homeschooling? Homeschooling is not a foreign subject to me. My parents took me out of public school at the end of 2nd grade to homeschool me. Their reason at the time? Influence. Woah. That was 25 years ago! They didn't like the stuff I was hearing, learning and coming home with. Those are a lot of the same reasons I started homeschooling. I honestly never thought I would homeschool. Not because I didn't like it as a child, or that I don't feel like I turned out "smart" enough, but simply because I didn't want to. I enjoy working and I need that outlet and even though I wasn't working at the time, I really had no interest in teaching my child with whom I frequently butted heads. But the thought of putting him in public school was daunting to me. I didn't like the influences I was seeing and quite honestly, I felt that even the textbook materials that were being taught were crossing some boundary lines that I didn't want my child infiltrated with. We couldn't afford a private school so I decided to try it for just one year. And at the end of that first year? There was no doubt that I would be doing a second. Now, you may have glorious images in your head right now of my perfect, little, 5 year old Jayden sitting at the table with his school books just writing away, reading at an accelerated pace and rattling off the parts of speech and their meanings. But reality is there were many days that were far from this, and there still are. There are still days when I call up Jarrod telling him I'm on my way to register the boys in school because they are "so going to be on that bus in the morning!" There are still days that end in tears and there are still thoughts that I'm not doing enough or teaching enough and that they are not as smart as other kids or as advanced as other kids. And then, there is the first time you hear them read a whole book to their brother or sister and you realize that you taught them that. There are the moments that they rattle off a multiplication table that they have been working on for weeks. The times that they ace a spelling test that they had previously struggled on or the surprise when they complete a standardized test as a 3rd grader and rank 5th grade 8th month in reading comprehension, 6th grade 8th month in word analysis, 5th grade 8th month in language usage and expression and 4th grade 8th month in math computation. Then the reality hits you that not only are they surviving, but they are also thriving. And we continue another year. Homeschooling is not the easy route. It takes a lot of dedication, a lot of patience, a lot of time, a lot of energy, and a lot of support. And while some of my main reasons for homeschooling are to raise children who excel morally as well as academically, or who have common sense as well as book smarts, I, in no way, shape, form or fashion think that my children will turn out "better" because I homeschooled. I don't think that homeschooling will keep my kids from making stupid decisions as teenagers. And although I see a lot of homeschooled kids that have good heads on their shoulders, get scholarships at some of the best collages, or succeed greatly in life, I have also seen many who have not. So, when people ask me how long I plan to homeschool, my answer is, I have no idea. We literally take this decision one year at a time. At the end of every year we evaluate our progress, our curriculum, and even our sanity. We look at all of our options for socialization, support groups, and sports opportunities. At the end of the day, I want what is best for my children. And right now, homeschooling is fitting and even exceeding that need. So, just a quick look at some keys to being successful because we will cover several of these in detail in the coming weeks. 1. Become a part of a support group. 2. Know and abide by your state laws on homeschooling. 3. Find a curriculum that works well for you and your children. 4. Know your legal rights as homeschoolers. 5. Relax and take the first year slowly. 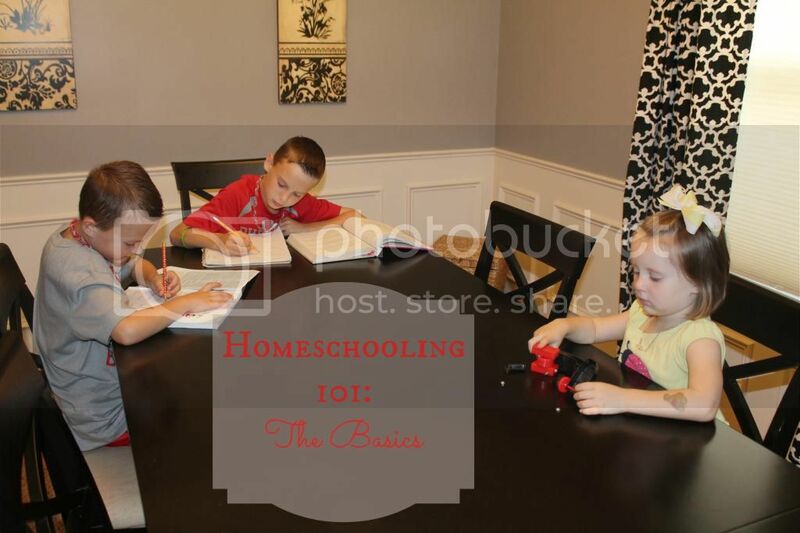 Next week we will discuss when to start homeschooling and how to choose your curriculum. If you have any questions please feel free to email me! I'm so excited to read about your home-schooling experience. Even though I'm a teacher I'm not always thrilled with public schools, for students OR teachers. If I ever had the chance to be a SAHM home-schooling would definitely be something we would greatly consider. Yeah, we've actually sat on the front porch to watch the school bus drive by on days when it's hard. I wonder why one of the two questions non-homeschoolers ALWAYS ask (other than the stupid socialization question) is "How long are you going to homeschool?" Do they not understand that God makes that decision for our family? Homeschooling has enabled us to build the sweetest relationships with each other. I wouldn't trade this precious time with my children for anything in the world! I am so excited to have found your blog when I did. We're just about to start preschool from home and I am both excited and scared! I can't wait to read the rest of this series! I'm looking forward to reading the rest of this series. My husband really wants me to homeschool. As of right now, public school is perfectly fine, but I may reach that point someday!